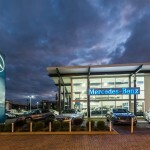 Development of a new purpose built showroom and vehicle sales yard. 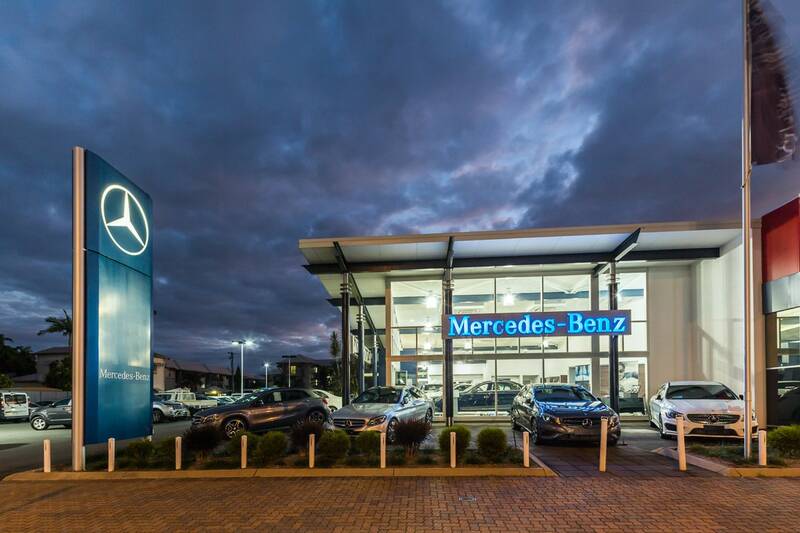 Our clients had recently been awarded the Mercedes Benz Dealership and as part of this they embarked upon the development of a new purpose built showroom and vehicle sales yard. 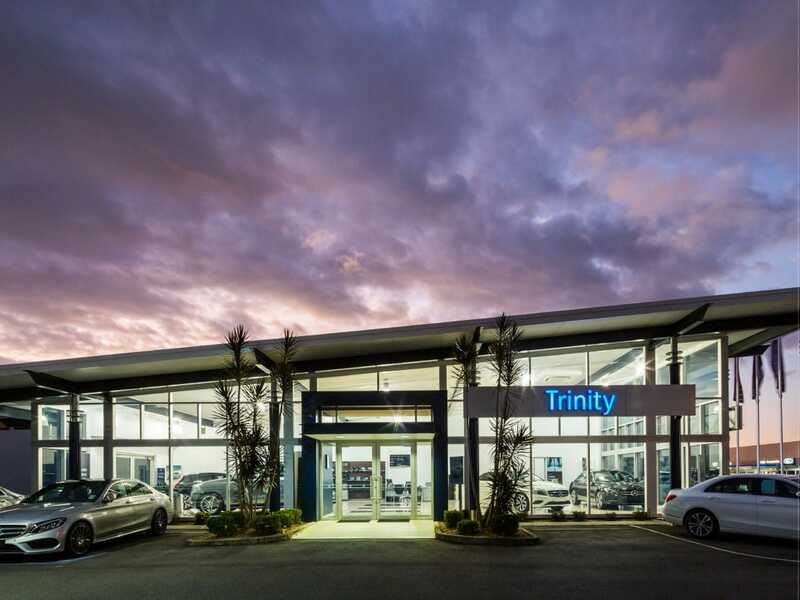 We tendered the project and were successful in being awarded the job on the back of several value engineering alterations we proposed to incorporate to provide the client with savings. 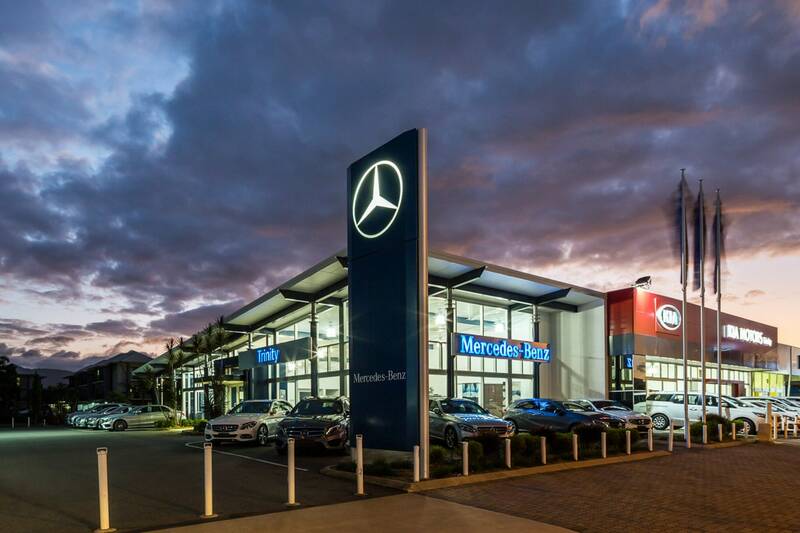 The new showroom was detailed to comply with the Mercedes Benz ‘CI’ Corporate Identity and it provided a modest but specific 235m² showroom and 1,795 m² of new sales yard area. 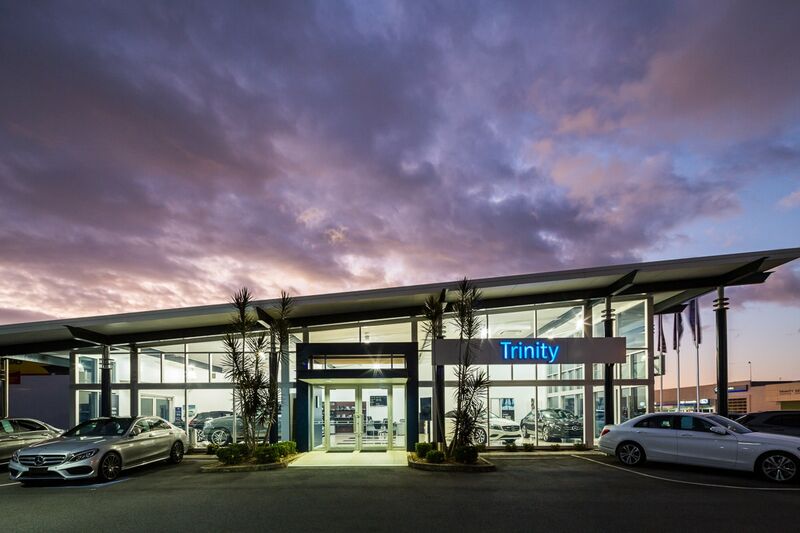 The façade was redesigned and we were able to provide larger openings with the inclusion of structural steel mullions hidden within the aluminium frames of the shopfronts, this element was previously discounted an un achievable. The mechanical, electrical and lighting systems were also reviewed to provide better value for money with improved performance. 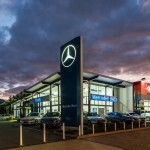 The structural steel building frame and roof was changed to deliver more ceiling height. 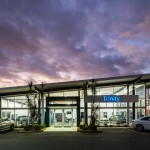 The new showroom and yard is located in the Trinity Motors Precinct which encompasses both sides of Mcleod St for a majority of the city block.